When you step outside your comfort zone, you truly find life. 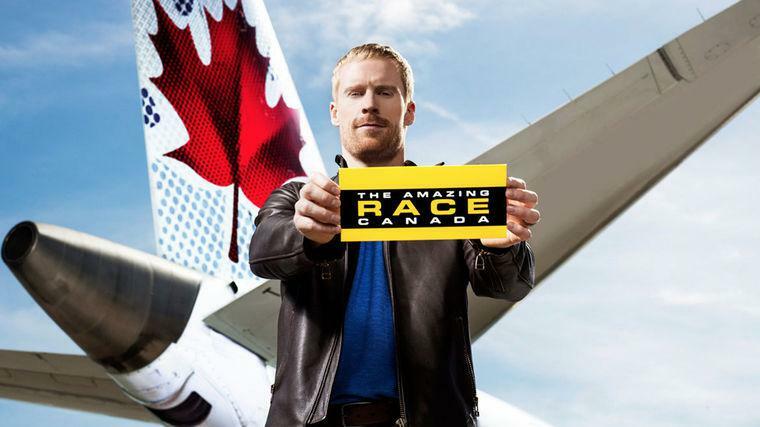 Proudly Canadian, Jon Montgomery says that being the host of The Amazing Race Canada has given him an even greater appreciation for the country. “I already had a profound sense I was a lucky man to be Canadian, but doing this show, you get to meet other Canadians, you get to see how they interact with the racers and a sense of commonality amongst the people.” For his work on the show, Montgomery received a Canadian Screen Award for Best Host in a Variety, Lifestyle, Reality/Competition, or Talk Program or Series. In February 2009, Montgomery won the Whistler World Cup, which served as the test event for the Vancouver Olympics. At that time, he called the victory the highlight of his career, adding that it was especially meaningful to win at home in front of family and friends. But what he really yearned for was Olympic gold. At the 2010 Olympics, he defended his home track once more, but this time, he did it in front of the world. The now infamous video of Montgomery drinking a pitcher of beer while walking through the streets of Whistler surrounded by screaming fans is sure to go down in Canadian lore. Montgomery and his wife Darla are also committed and passionate about giving back. They are affiliated with WaterAid, which works with the poorest and most marginalized communities in sub-Saharan Africa, Asia, the Pacific region and Central America, and Right to Play, which uses the power of play to educate and empower children to be guardians of their own health and active participants in their communities. While Jon Montgomery always wanted to be a Canadian National Team athlete, he didn’t know which sport it would be in. Keeping his eyes wide open, living outside his comfort zone, trying new things, and accepting the challenges that presented themselves enabled him to find his passion and his opportunity to realize his dreams. Montgomery’s story inspires others to go after what they’re looking for, no matter how daunting the task may at first seem. The story of Jon Montgomery’s Olympic journey: how a small-town boy from Manitoba, who grew up playing hockey and idolizing his home town hero, Theo Fleury (the smallest guy to ever play in the NHL), was inspired to become an Olympic champion. In an individual sport like skeleton, one’s success as an athlete is directly tied to an ability to work collaboratively with the team behind the front lines. Jon Montgomery explains the importance of teamwork in our families, workplaces, and communities.